Control, Options, and Flexibility here are three (3) alternatives for the mortgagor to choose from and benefit by using when restructuring their mortgage according to our patented Business Method. 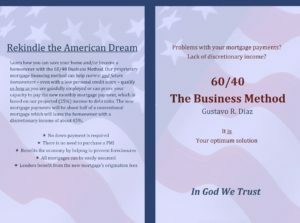 Even though their homes may be worth less than what they owe, they can refinance their mortgage according to the rules of parts A and B of the 60/40 Business Method, please take a moment and examine the 3 aforementioned alternatives as outlined below. 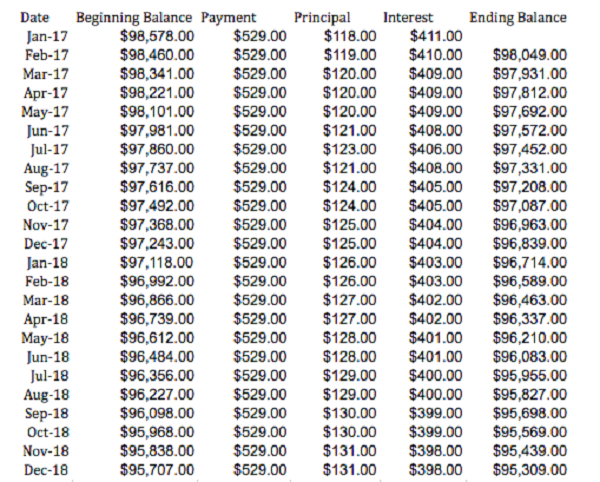 $164,297.12 is the balance of the mortgage, which was issued in 2006 after 10 years, as shown above. When divided into the two parts, Part A (60%) will be $98,578.00 of the mortgage and Part B (40%) will be $65,719.12. In the Proceeding using these figures, we will demonstrate how the plan works. 360 x $529 = $190,440 at the end of 30 years, including interest. By refinancing your mortgage through the 60/40 Business Method, your monthly mortgage payments will be reduced by $718.09, raising your discretionary income by $258,512.40 over the course of 30 years. You will only be amortizing 60% of the mortgage for the next 30 years. At the end of those 30 years, you will not owe anything in Part A of the mortgage ($0). 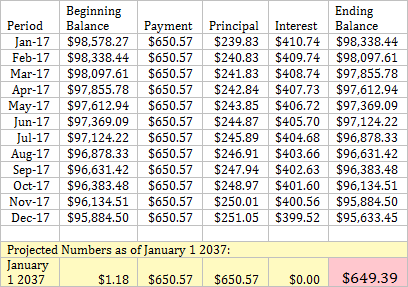 At the end of 30 years, the payoff for part B (at 5% compound interest) will be $284,033. Projected property value after 30 years (360 consecutive monthly payments) will be $544,398. This will leave you with a property equity of $260,365. 240 x $650.57 = $156,136.80 at the end of 20 years, including interest. By refinancing your mortgage through the 60/40 Business Method, your monthly mortgage payments will be reduced by $596.52, raising your discretionary income by $7,158.24 per year, or $143,164.80 over the course of 20 years. You will only be amortizing 60% of the mortgage for the next 20 years. At the end of those 20 years, you will not owe anything in Part A of the mortgage ($0). 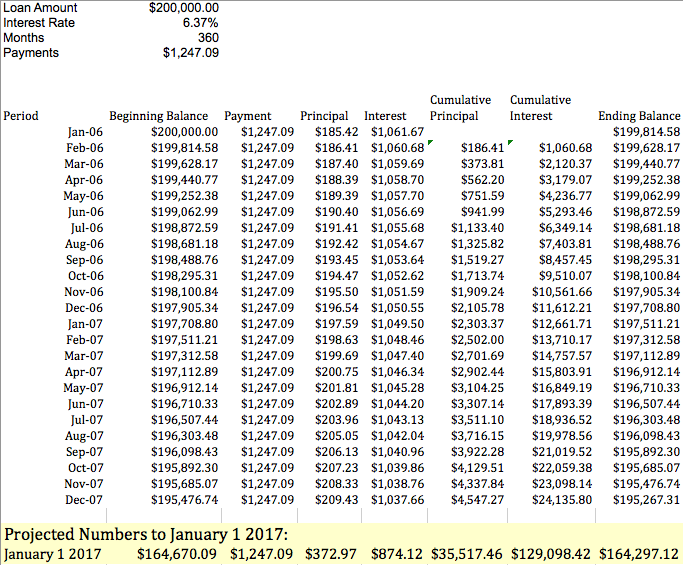 At the end of 20 years, the payoff for part B (at 5% compound interest) will be $174,372. Projected property value after 20 years (240 consecutive monthly payments) will be $365,164. This will leave you with a property equity of $190,792. The above alternative offered by the program is highly beneficial to young buyers that are assuming a property that was originated 15 or 20 years ago, which would put them in a position of either paying off the mortgage or refinancing at maturity. In addition, the young buyers would probably face the possibility of higher interest rates if they refinance the mortgage, conventionally which with our system would not happen, because the interest rates would be fixed. *62 years old is the minimum age where an individual is eligible to qualify for a reverse mortgage. In the above example, you will be 60 years old by the time you have paid off Part A of your mortgage. If you wish, you can refinance Part B of your mortgage, and then you can do a reverse mortgage after 2 years if the balance of the home permits it. By refinancing your mortgage through the 60/40 Business Method, your monthly mortgage payments will be reduced by $596.52, raising your discretionary income by $7,158.24 a year, or $143,164.80 over the course of 20 years. When the homeowner finishes making payments on Part A during the 20-year term, they have the option to hold off on making payments on Part B, because it is a deferred balloon payment. They can do whatever they wish in the 10 year period remaining in their 30 yearlong mortgages, as long as they pay their property taxes and insurance. In these 10 years that the homeowner does not make payments towards Part B of the mortgage, they have the option to have a reverse mortgage done on their house if the value of their property has risen above what they owe on Part B of the mortgage. *62 years old is the minimum age where an individual is eligible to qualify for a reverse mortgage. In the above example, you will be 60 years old by the time you have paid off Part A of your mortgage. Upon signing the closings, Part B of your mortgage will not be due for 10 more years; that is, until 30 years of the mortgage origination date. If you wish, you can begin to make payments for Part B of your mortgage, or you may have a reverse mortgage done whenever the 30 years are due.